If you are planning a project that requires plant material not available in our regular stock, please contact us about the possibility of contract propagation. We may be able to provide plant quantities, genetics, sizes, and/or species specially grown to meet your project’s needs. Most species and sizes require at least one growing season to produce, so contact us as far in advance of installation as possible. If we have the growing space, technical capability, and sufficient time to produce the plants, we will build your request into our propagation plan. Due to the potential for crop failures and other acts beyond our control, we cannot guarantee success of contracted plants, but we will knock ourselves out trying. 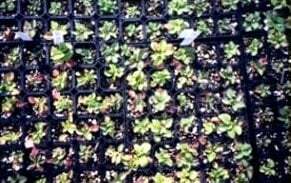 The simplest form of custom propagation we do is growing species already found in our regular stock, but in numbers and sizes specifically to match your project’s needs. Standard sizes available are 7 or 10 in³ cells, 4” pots, 1, 2, and 5 gallon cans, and 1 and 2 gallon tall pots. If you are looking for plants in a pot size that we don’t normally stock, we may ask you to purchase the containers up front. Coir logs are made from an agricultural byproduct: manufactured woven ripe coconut husks that have been cured in freshwater. 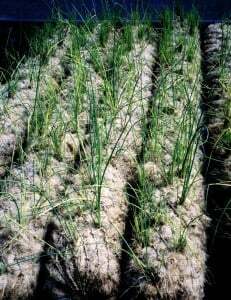 Coir is durable in the short run, yet biodegrades over time. Using prevegetated coir logs can greatly improve the success of emergent plantings where shoreline or hillslope erosion is a concern. It can be very difficult to successfully anchor individual plants into flooded soil; too often, plants will float out of their planting holes and are lost. Coir logs holding dozens of individual plants are much easier to retain by anchoring with stakes and/or weighting. At the nursery, the coir is planted early in the growing season and is ready for your use by late summer/early fall by which time the emergents are rooted extensively into the coir. This is also the typical end of the construction season and when water levels are usually at their minimum. We custom plant coir with species appropriate to your project site (see our Prevegetated coir logs information sheet for further details). Standard sizes of logs are 10 feet long and 12 or 24 inches in diameter. Please contact us for pricing. Because growing space in the nursery is limited, we frequently need upwards of one year of advance notice to coordinate prevegetated coir log orders. We only supply logs to projects installed in western Washington. 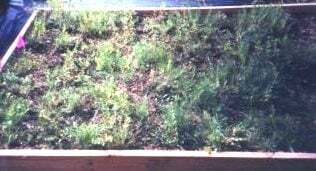 Click here for a list of other coir suppliers of both vegetated and unvegetated products. 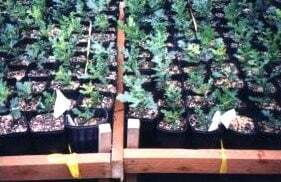 Some restoration projects require plants with site-specific genetics, a goal that we strongly support (see Why local genetics?). Once again, if we have the capability, we would be pleased to grow plants from your desired genetic stock. We would keep these plants clearly marked and separated from our general inventory. The customer usually provides us with the seeds or other propagation material from the desired site, but if needed we may include seed or cuttings collection in the contract. We also can salvage whole plants from construction areas and store and/or propagate from them for later re-installation. Our ability to grow a species not found in our standard stock depends very much on what species it is. We avoid species that are very difficult to propagate or maintain; the cost of production is usually prohibitive. For difficult plants, we may be willing to do custom propagation, but we would ask to share with you the extra risk of the endeavor. There are many other species not found in our general stock only because there is insufficient demand. If you provide the demand, we may be able to add these species to our propagation plan. Sound Native Plants has years of experience collecting seed and cuttings for our own propagation. We use techniques that allow for high yields without damaging host plants or taking too much away from the local wildlife’s food source. If you have a collection project in the south Sound, please contact us for a bid. We may also consider larger projects elsewhere in western Washington.